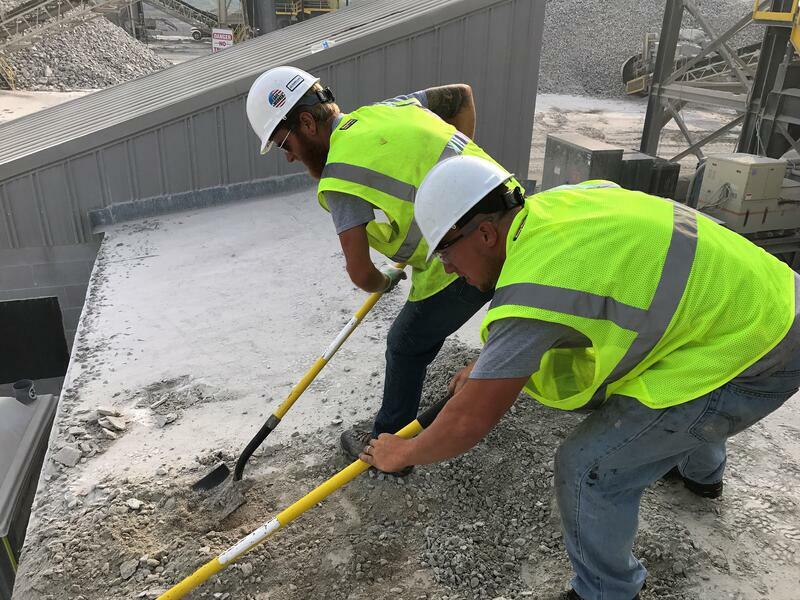 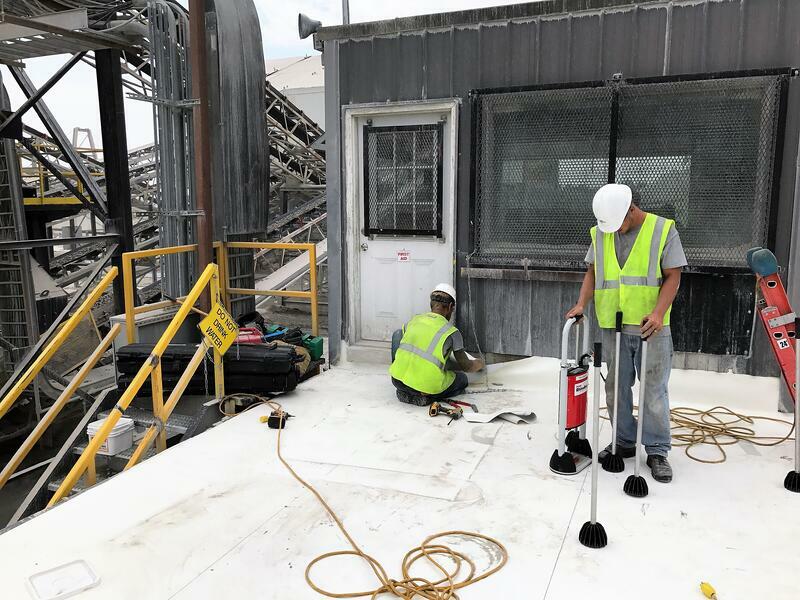 Description of Work: After plenty of wear-and-tear from the surrounding construction, IMI called over Exterior Pro Roofing to repair their worn membrane roof atop their Electrical building. 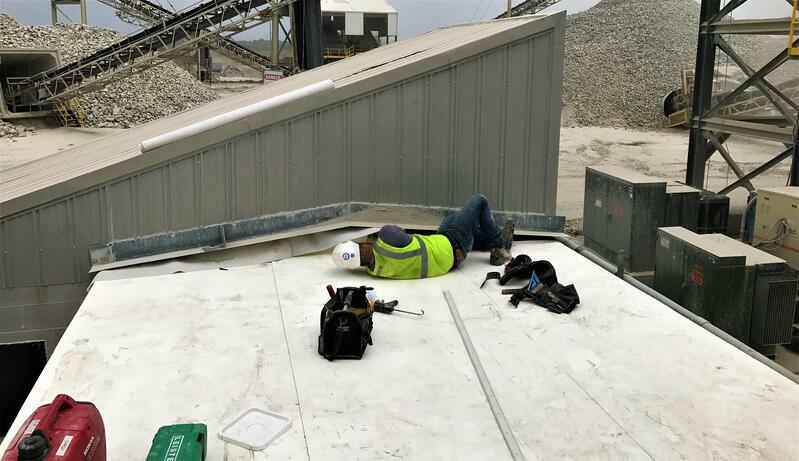 while small, it was an important job as this building containted the electrical panels used to control the rock crushers. 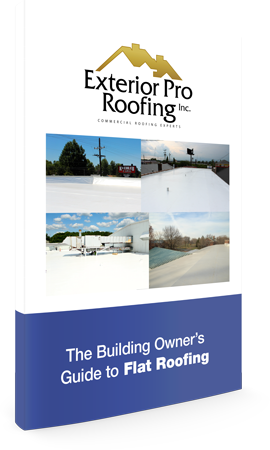 So using 80 mil PVC membrane, the Rhinobond system, and mechanically attached flashing, Exterior Pro repaired the flat roof without a hitch.